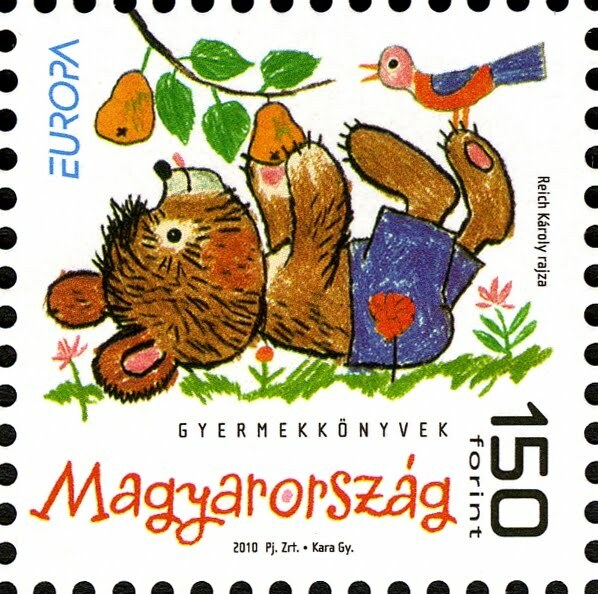 Hungary is the winner of this year's Best Europa stamp contest organised by PostEurop. Last year winner, Turkey finished second and Croatia third. 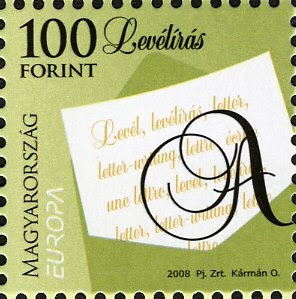 this 235.- HUF stamp is part of a souvenir-sheet of 4 stamps designed by Ágnes Rozmann. It's the fourth time Hungary wins this on line voting during the last five years ! Here the statement on the Hungarian post website. 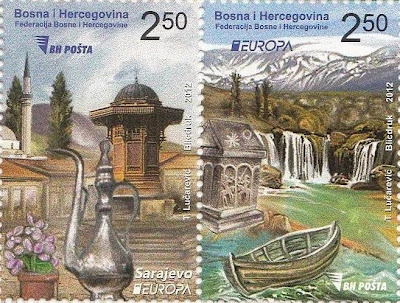 The result of this competition was announced during this year's Philatelic Forum in Paris, France on the 13th June. 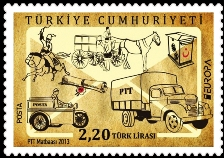 The stamp has been selected via the internet ! All people could vote through PostEurop's website ! A total of 8063 votes were registered, compared to last year it's an increase of 45% in the number of public votes. A jury of 7 members (stamp designers, philatelic design directors) awarded earlier this year, the Best Europa stamp - Jury prize to Russia ! The prizes for both the Jury and public voting competitions will be handed out during the Belgian Philatelic Grand Prix to be held in the Brussels City Hall on the 22nd September 2012. Postcrossing blog wrote an article about the on line voting. The 2012 Best Europa stamp - Jury prize was awarded yesterday in Paris ! This was the second edition of this neutral and artistic prize. 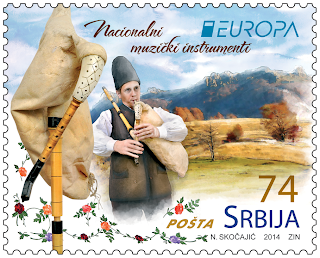 Seven philately experts were invited to join the jury and judge the Europa stamps based on their expert opinion. 55 entries were displayed before the jury and after much deliberation, the jurors casted their closed ballots followed by a round of voting and discussion. Having reached a consensus, Mr. David E. Failor, Chief of the United Nations Postal Administration, proudly announced Russian Post as the winner of the 2012 Europa stamp Jury Prize. "Ultimately the jury selected the entry from the Russian Federation because of its inviting theme, high quality production and superior iconic image. The stamp did a wonderful job of celebrating the "Visit..." theme." NOTE : for the first time since 1979 and the first Gibraltar Europa issue, Gibraltar is using the official Europa logo !